Dental radiography is the use of x-rays to produce pictures (radiographs) of the inner and hidden areas of the teeth and jaw bones (mandible and maxilla). 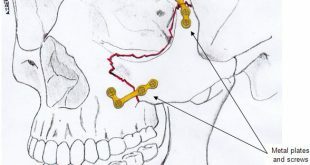 Diagnose and monitor problems in the teeth (e.g. 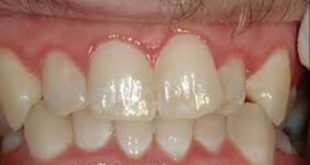 tooth decay / defective fillings etc.) and jaws (e.g.. infections / tumours etc.). Perform some dental procedures better (e.g. root canal treatment / removal of teeth buried in bone etc.) as well as monitor the success of treatment. Intraoral radiographs such as the Periapical (Fig. 1a), Bitewing (Fib. 1b) and Occlusal radiographs (Fig. 1c) which are taken with the film in that patients mouth (Fig 1). 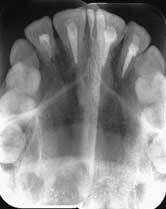 Extraoral radiographs such as the Panoramic radiograph (Fig. 2a) which is taken with a different kind of machine and with the film positioned outside the patients mouth (Fig 2). 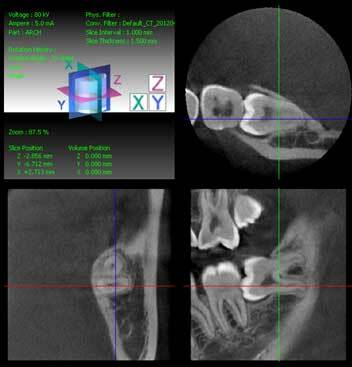 A specialized and very useful newly introduced type of dental radiograph is the Cone Beam CT scan. Exposure to large doses of x-rays can potentially damage healthy human cells. Of greatest concern is the risk of cancer developing in patients as a result of exposure to x-rays and the risk of causing birth defects when pregnant women are exposed to x-rays. No studies of radiation in humans however have demonstrated an increase in cancer at the doses used in diagnostic x-rays4 . In pregnant women, the developing fetus is most sensitive to the effects of x-rays in the first 2 weeks, From 2 to 18 weeks the fetus is still sensitive but to a lesser extent. Between 18 weeks and birth the exposure to x-rays are unlikely to cause any ill effects unless the exposure is in extremely large doses5. Dental personnel must always ask about the pregnancy status of any female patient of child-bearing age. Dental radiographs should not be taken on any women of child-bearing age who suspects that she might be pregnant as the developing embryo is most sensitive to the effects of x-rays in the early stages of pregnancy. Dental radiographs can be taken for pregnant patients especially from week 18 onwards. If radiographs need to be taken, it must be justified and the necessary precautions that would protect the developing embryo or foetus must be taken (see below). 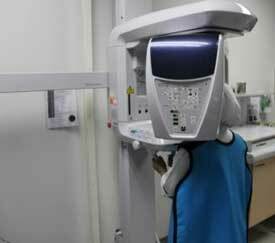 In dentistry, the radiation doses emitted by the radiographic machines are low especially with modern digital equipment, Patients are therefore exposed to low-radiation doses but dental personnel must bear in mind that the effects of radiation on the body accumulates over time. As a result of this, there is a directive from the Director General of Health Malaysia and Chairman of the Malaysian Radiological Advisory Committee that every exposure to ionizing radiation for diagnostic and therapeutic purposes must be fully justified. Protection for Patients and Dental Personnel. To protect patients and dental personnel, the safe and effective use of dental radiographic equipment is of paramount importance. The Atomic Energy Licensing (Basic Safety Radiation Protection) Regulations 2010, applies to all activities involving ionizing radiation. Regulation (42) states that dental practitioners shall ascertain whether the radiography is necessary before any exposure is administrated to the patient. Regulations (17) and (18) cover the responsibilities of dental practitioners to monitor radiography work areas3. Dental radiographs should be taken in a dedicated room or area which complies with the regulations. The walls and door should be constructed such that it provides proper shielding (sheilding thickness of 1/16-inch lead or equivalent). 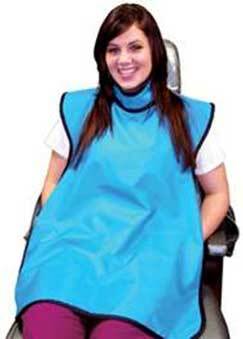 Protective attire such as lead aprons and thyroid collars are used to protect vital organs and the bulk of body mass. Thyroid collars are used when the thyroid gland lies in the line of the primary beam of the radiation from the machine. When not in use, these items should be correctly stored over a suitable hanger and not folded. Its condition must also be routinely checked for defects. Protective attire is used on patients when they are being exposed to the radiation and for anyone who is physically supporting the patient when the radiograph is being taken (Fig. 3). Dental personnel should ideally be outside the room when the radiograph is being taken. If they need to be in the room, they should stand behind protective panels or at least be wearing protective lead aprons. 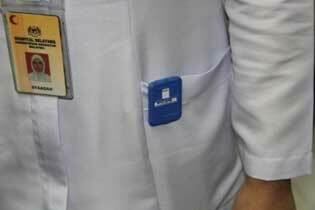 Dental personnel who regularly take radiographs should wear a film badge dosimeter (Fig. 4) continuously and keep a record of the amount of radiation they are exposed to. This is to monitor their cumulative exposure to radiation. Dental personnel should not be complacent or careless when managing radiographic equipment even though the radiation doses used are low. Although the risks are low, there are still potential dangers especially since the effects of radiation on the body accumulate over time. Radiographic equipment must be maintained optimally and the rules and regulations associated with their use must be followed at all times. 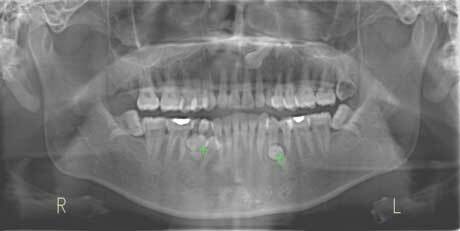 In dental radiography, it will be prudent to continuously keep in mind the principle of ALARA (As Low As Reasonably Achievable).